Moon phases have always intrigued humanity. The first calenders were based on the cycles of the Moon. Historically, the Moon has been associated with the feminine due to the monthly cyclic nature of the menses which correspond to the monthly lunar cycle. The influence of the Moon phases on plants, animals and humans has well been established. The cosmic energies of planetary cycles, movements, positions and interactions and their effect on biological and energetic systems is the basis of astrology. The phases and cycles of the Moon and Sun have the most universal influence over life on Earth. In many Native American traditions, menstruation is referred to as moontime, a sacred time in feminine power cycles. A time to retreat, recharge, dream and create. A holy time. A time to be with other women whose cycle times correspond with each other. Also a time to benefit from the wisdom of the Grandmothers who now hold their blood, thus their power. Symbolically, it is the New Moon phase when the old is shed and what is no longer needed is given back to Mother Earth and life is renewed. Astrologically, the Moon corresponds to the personality and the zodiac's water sign of Cancer. It represents feminine nature, emotions, instincts, intuition and nurturing. It is the embodiment of domestic affairs. The Moon is very sensitive, being influenced by the aspects (relative positions) of other planets. It is also the fastest moving celestial body in our solar system, orbiting at an average speed of 2287 mph. The speed fluctuates at different points in the Moon's elliptical (oval) orbit, speeding up when it's closest to Earth and slowing when it's the farthest. The speed of rotation remains the same at about 10 mph. The time it takes for the Moon to complete its orbit around the Earth is called a lunation, lunar month or synodic month. One lunar month lasts about 29 1/2 days. The cycle varies due to the gravitational forces of the Sun and Earth as well as the Moon's own variable cycles. The cycle can vary from minutes to hours from one cycle to the next. 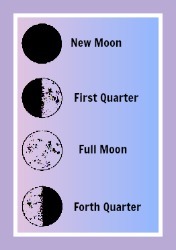 The Moon phases from new to full and back to new. Each lunation begins and ends at the New Moon. New - the cycle begins. The Moon is conjunct with the Sun (in the same longitude or line). It is between the Earth and the Sun. Also called the "dark of the Moon". When new, the Moon is generally invisible for 2-3 days before the first crescent is seen. * The Moon is fully hidden. She is preparing for a new journey. Time for contemplation and the formulation of new plans and desires. Take time to nurture yourself and evaluate your needs. First Quarter - new to half. This phase begins at the New Moon and ends at the second quarter. It is illumined on the right side in the northern hemisphere, or the left side in the southern hemisphere. The first quarter is ended and the second quarter begins when you see a half Moon. * The Moon begins waxing. It's a time for activity, new growth, setting things in motion, implementing new plans or projects, drawing energy down to utilize, to build and to create. It's a time for new beginnings and planting seeds. This is a powerful time because the Sun is moving in the same direction as the Moon, their forces are working together. Second Quarter - half to full - waxing gibbous (convex). The Sun and Moon are at right angles. The Moon is moving away from the Sun. Rises around noon and sets around midnight. It can be seen in the evening in the west. * Continue to develop that which has been previously begun. The Moon's light is still increasing, energy is in express mode. Give your time to important projects and engagements. Prepare for the culmination of energies at the Full Moon. Finalize plans. Full - begins the third quarter. The Sun and Moon are opposite each other with the Earth between them. Rises in the east around sunset and sets about sunrise, progressing as the phase continues. * The Moon is in Her full light with nothing to hide. A time of exposure, fulfillment and high energy. Howl at the Moon, rejoice in your efforts and accomplishments, be filled with gratitude as you gaze upon Her beauty! Third Quarter - full to half - waning gibbous. This second half is illumined on the left in the northern hemisphere and opposite in the southern. * The Moon begins to wane prompting the release of excess energy. Release your prayers, doubts, fears and angers. Tie up loose ends. Fourth Quarter - half to new. Diminishing light (waning) and old crescent. The cycle is complete when the Moon is new again. Rising at midnight and visible in the evening in the eastern sky. * The cycle is winding down as the Moon is waning towards the Old Crescent. This is a time of reflection, reevaluation, letting go of worn out ideas and modes of operation. Rest and meditate. Waxing Moon - Increasing in light from new to full, 1st and 2nd quarters. * Power, energy, building, acting, initiating. Waning Moon - Decreasing in light from full to new, 3rd and 4th quarters. 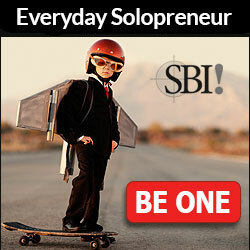 * Introspection, review, planning, storing, give-away. Important Note: The exact point of a new phase (the beginning of each quarter, including New and Full) and twelve hours afterwards, is an unfavorable time for most endeavors. The rest of the moon phase is generally favorable depending on aspects and other cyclic energies listed below. The Moon phases are not the only cycles of the Moon that has an influence over us. The Ascending and Descending Moon - This cycle refers to the Moon's arch in the sky. Similar to the Sun's yearly cycle, the Moon's lasts approximately 27 1/2 days. Each cycle has the Moon steadily rising and setting at various degrees in the sky in an increasing and decreasing arch. If it rises higher on one night than the last, it is ascending. And vice versa. Ascending Moon - Low to high. The Moon's influence is more powerful. A time for high energy, increased growth and vitality. Descending Moon - High to low. Energy favorable for getting rid of things, weeding out, going within. The Earth's orbit around the Sun is called the ecliptic. When the Moon's orbit crosses the ecliptic, it's called a lunar node. This happens twice in a lunar cycle, once when ascending (north node/dragon's head) and once when descending (south node/dragon's tail). This cycle lasts approximately 27 1/4 days. Nodical days are not good times to begin new projects, work on important ones nor to schedule important events. This cycle describes the distance of the Moon to the Earth at different points in the Moon's orbit. When the Moon is closest to Earth, it is perigee. It's farthest position is apogee. This cycle is 27 1/2 days from perigee to perigee, or apogee to apogee. 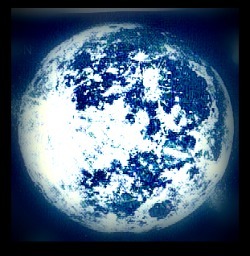 Perigee - Big Moon - it travels at it's greatest speed and the Moon phases appear to change faster, and it appears larger. It has its strongest influence during perigee. Avoid important procedures on the day of. Apogee - Small Moon - traveling at it's slowest speed, the phases seem to change at a slower pace. It appears smaller and has a lesser influence. The Moon is considered void of course when She moves from the last major planetary aspect in a sign until Her arrival into the next sign. The Moon is said to be "resting". This is a time to avoid important or major decisions. But it IS a good time to rest, daydream and meditate! Keep up with the Moon's daily activities.